The BEST Service and Music GUARANTEED! Weddings, Company Parties, Holiday Parties, House Parties, Celebrations, Banquets, Anniversaries, Special Events, Surprise Parties, Bar/Bat Mitzvahs, Conventions, and More! Our skilled DJs can entertain any group of any age – tailoring the music selection and sound levels by reading the crowd to gauge how they’re responding. 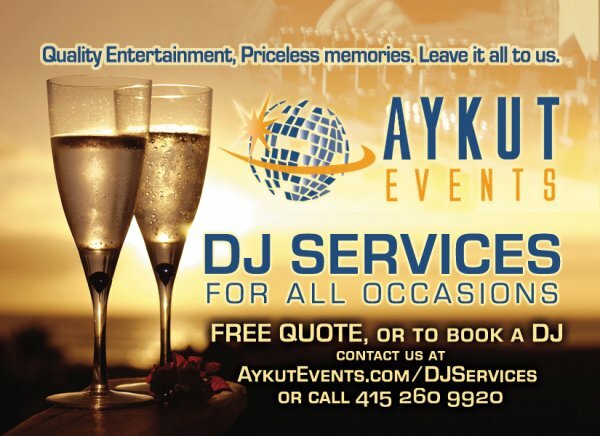 With thousands of tracks in our collection, Aykut Events DJs unique style blend the best beats!! is our main goal when playing at your event. Our comprehensive list of satisfied customers speaks for itself on Yelp. In addition to our DJ Services, we can also provide Uplights and more! Discounts available for Mon-Thurs and Non-Profit Charity Events. Ask About Our DJ Services! Our comprehensive list of satisfied customers speaks for itself. Thank you for the excellent job you did at our Holiday Party. All the staff enjoyed the music and you did an excellent job keeping people on their feet! I’ve heard nothing but positive comments about the music and the DJ! Thanks for making the evening such a success and I’m sure we’ll be in touch to schedule next year’s event. You played exactly what we requested and could not have been more professional! We were extremely satisfied with everything! We received so many comments from our guests about the music and presentation. Everything was wonderful! Thank you for making our reception festive and successful. Aykut, You did a terrific job. Thanks for making it extra special. I heard so many great comments from friends about the music. Thanks again for everything. Thanks so much for you professionalism. Both Sara and I enjoyed the music on Saturday, and I have heard from many other folks who have said the same thing. 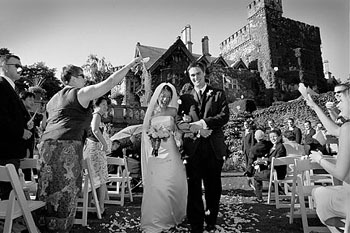 You definitely helped make that day as close to perfect as possible. Dear Aykut! You were wonderful and everyone loved you. You did a great job. Todd and I would like to thank you for great work. Thank you so much, you made the night and everyone loved your music. You can tell by watching the movie everyone was dancing and having a good time, thanks!